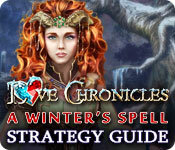 Love Chronicles: A Winter's Spell Strategy Guide is rated 3.0 out of 5 by 2. 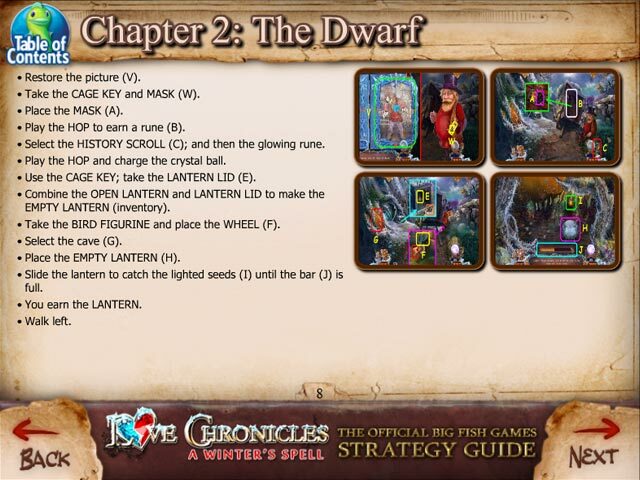 Rated 5 out of 5 by Aslana16 from Cute and entertaining I loved the storyline and diversity of all the puzzles. 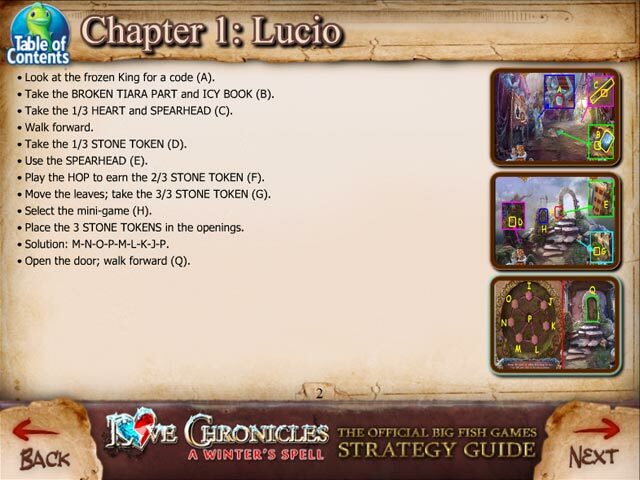 Rated 1 out of 5 by IrishTexan_ from Game just cuts out in the middle! 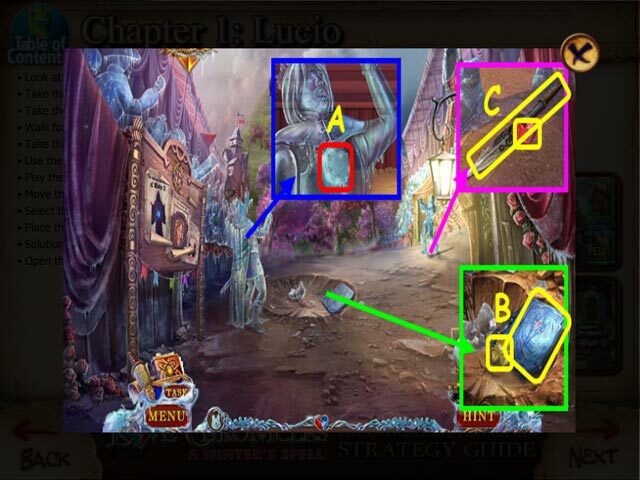 In the puzzle game (with the big spider), you have to find the pieces and put them where they belong. I did this in several puzzles, with no problem. Now, however, when I try to pick up the pieces, they will not pick up; so that I can put them where they belong. The puzzle just WON"T RESPOND at all! I can't find any help for this problem anywhere. I was enjoying the game up to this point; now I feel that all the time invested is for nothing, because I can't continue! Don't waste your money on this one!